Paul McCartney And Ringo Starr To Play Music’s Biggest Night! If you did not already plan to watch the 2014 Grammy Awards, you better set your DVR, or you will end up missing out on some historic performances! Last week the Recording Academy announced that they added Paul McCartney and Ringo Starr of the legendary Beatles to the list many other nominated performers. 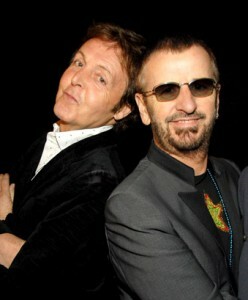 The two surviving members of the fab four will also be receiving the Lifetime achievement award that night. They are just some of the awesomeness you will be missing if you do not tune into music’s biggest night, this Sunday (January 26th ) on CBS! Click here for more big names that were also recently announced to perform!